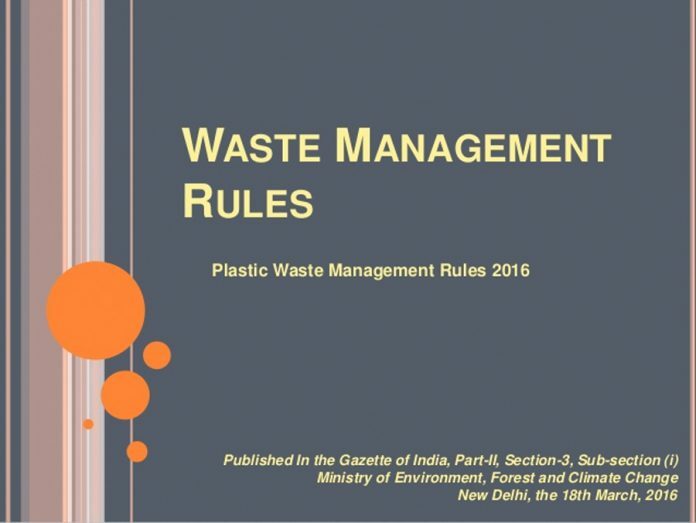 We have been writing about the problems that could crop up if the Government of India’s Plastic Waste Management Rules 2016 are implemented as announced. Sadly, there has been an almost total lack of response or feedback on this issue from both brand owners and the packaging industry. 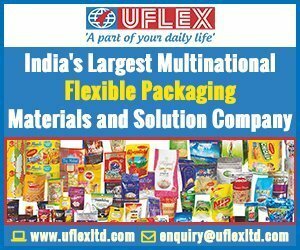 Continuing his explanation of why the blanket ban on multilayer flexible packaging is based on a lack of understanding of the requirements and the possible solutions, S Chidambar says in this open letter to industry that while the blanket ban is impractical and unrealistic, it is also a serious challenge that cannot be ignored. The packaging industry and brand owners need to get their act together with a real and pro-active plan for concrete and positive action. I am sorry to point out that this ostrich-like reaction of burying one’s head in the sand is not going to make the likely problems go away. It will only foster and strengthen the impression in the Government’s mind that industry is not too unhappy with the rules as they have been framed. I think industry needs to act more responsibly in their stakeholders’ interests by taking positive pro-active measures. So, here is a recommended action plan that I would like to put forward. 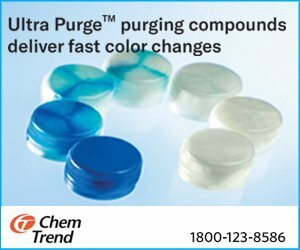 Banning of multiple polymer or polymer/non-polymer combinations. Mandatory setting up of waste collection (both in-plant and post-consumer use) and recycling/reprocessing infrastructure by brand owners as extended producer responsibility. Seeking registration from statutory bodies to continue operations without putting such facilities in place. Very substantial increases in costs if rigid non-polymer systems (like cans, bottles or cartons) or single-polymer solutions replace the optimum flexible packaging systems; these increases can certainly not be absorbed by brand owners and, if passed on to consumers, will result in large-scale price increases and inflation. More than 90% of the flexible packaging industry will have to be shut down and thousands of jobs will be at stake if the PWM Rules 2016 are implemented as presently framed. A comprehensive all-inclusive road map has to be designed to address all these issues. I am giving below a proposal for such an action plan. First and foremost, the entire packaged goods industry (and this means the entire manufacturing and retail industry – practically every product manufactured and supplied/distributed except for some essential services has to be packaged) must get together as one to collectively take this up with the regulatory and legislative system/government. This means putting aside competitive issues, conflicts of interest, rivalry, opportunism and various personal agendas and axes to grind and getting together to ensure that the very existence and well-being of industry itself is not threatened. Nobody in industry can take the attitude that he/she does not want to be the ‘bad boy’ in the government’s eyes – let someone else do the dirty work since, ultimately, the benefits will come to them anyway. There is another aspect to this – the powers that be will take serious cognizance of arguments only if they realize that the supplicants collectively form a large number of aggrieved people representing a vast and significant majority of industry. Representations from individual organizations and fragmented industry associations will not have as significant an impact and will not be taken as seriously even if pursued legally. The spin-off of this united front will be that it can be used to pursue other issues as well. Ideally, this united body should have representation from consumers and consumer fora and the common man as well. The association will need to be driven by the big boys in the consumer packaged goods (CPG) business viz. the large FMCG companies, packaging majors and large-scale manufacturers of basic industrial materials like resins, polymers, metals and industrial chemicals including PSU’s like IOC, GAIL, OIL and SAIL. The constituents will have to come from the entire spectrum of user industry sectors ranging from FMCG, food, food service, appliances, white goods, healthcare, electronics and chemicals to basic, intermediate and industrial materials. Existing industry associations like CII, FICCI, Assocham, AIPMA, OPPI, Plastindia Foundation and IPI can also pitch in and support the association. One of the problems that the association will come up against is the complicated matrix of communication and interaction. Although the rules have been issued by the Ministry of Environment, Forest and Climate Change and will be administered by them, several other ministries and administrative bodies will also be involved in the mix and will have to be dealt with. Some of these are the Ministries of Commerce, Industry, Company Affairs, Urban and Rural Development, Chemicals and Fertilisers, the PMO, the Department of Science and Technology, various State Pollution Control Boards, various State Governments and a host of Municipal bodies. This is where a really widespread association membership will come in handy and individual companies with strong ‘clout’ with respective ministries and bodies can be used as the via media to exploit their relationships to get things done and for quick action. Therefore, the need for collective action is all the more important as opposed to individual initiatives. Needless to say, the association will have to establish credibility and take a positive and creative approach to help address the government’s concerns on sustainability and transition to circular economies for conservation of finite non-renewable resources. Every constituent will have to prove he is a responsible corporate citizen truly committed to reducing carbon footprint and Green House Gas (GHG) emissions and towards sustainable development. For example, rather than avoiding it, they should come forward with their own recommendations on how they can help develop and establish infrastructure for waste segregation, collection, reprocessing and recycling as part of extended producer responsibility. (Here, again, this is best done as a collaborative and collective effort across the entire industry rather than implementing individual stand-alone programs. This would make the whole exercise work on a larger scale and be more cost-effective.) They could also offer to educate consumers and incorporate effective communications in their packages/supply chains to make them more conscious towards their responsibilities on waste management and disposal. Initiate a collective communication and mass education program to get their arguments across and to get government and consumers on board to working on practical solutions. 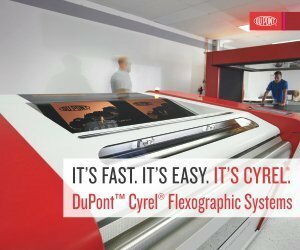 Do an extensive analysis and testing of the multilayered and composite structures in current use in packaging. Clearly establish how they cannot be replaced effectively by rigid or single-polymer systems especially for high-barrier applications and how they incur a much lower carbon footprint and resource utilization by carrying out formal Life Cycle Analyses (LCA’s) and other testing programs from well-known industry,scientific and academic institutions to buttress their case. Build up and present an irrefutable case on how no country anywhere in the world has been able to develop viable alternatives to multilayered and multi-polymer systems. Clearly establish how flexible packaging solutions are by some distance the optimum way out in so far as utilization of input resources are concerned. Come up with at least initial proposals on how the industry can collectively set up a in-plant and post-consumer waste segregation and collection system. Efforts will also have to be initiated on developing waste reprocessing and reuse technologies (finding equivalent or upscaling reuse options and not downscaling them) and finding markets for the ‘regenerated’ resources. I sincerely hope that the top honchos in industry realize the enormity of the impending crisis if the government gets bull-headed (which they well might given that lack of industry response and overall industry ennui has been so palpable) and decides to implement the PWMR 2016 in its present form. Time is running out – and fast!